door handles up or down? I'm an old geyser who's been in trucking all my life and I'd never heard of a cable pull dump. Very interesting. That's still one of my favorite interiors ever. Great design, love the big wheel, just looks so right. As soon as I saw the title of the post I knew what truck it would be. Saw it just last week. One of my favorites. Unfortunately, he has a B model wrecker that's been sitting outside for years, rotting. He won't part with it. I would guess not. One of them doesn't shift, so he keeps them in high range all the time. Hobby dump truck. 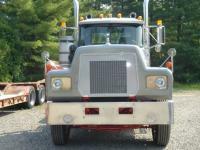 Although he has hauled a load or two of gravel, it has no power steering or front brakes. Old school isn't always better. A friend of mine won that B61 last year. It's pretty nice--Maxidyne, quadbox, 3 spd rears (!) --and he'll probably be selling it in the spring. With a straight pipe, no less. Nothing sounds better than a 300 Maxidyne with a straight pipe--not loud, either. It's breath of fresh air to hear someone get excited about something besides a Paccar, which to me are like Harleys....same ol', same ol', no matter how much they're gussied up. That is a great looking bulldog, and the 18 speed is an added plus. As a company driver, you gotta love it when something like that happens. I know just exactly how you feel. Enjoy!!! No, I was talking about a ten wheeler with 15 tons on board. You can't haul 25 on that type of truck around here. I occasionally drive a tandem axle dump with a C10 Cat @370 hp, 8LL. I think it's a perfect setup. I just don't get why people think they need 500 + hp in a dump truck. 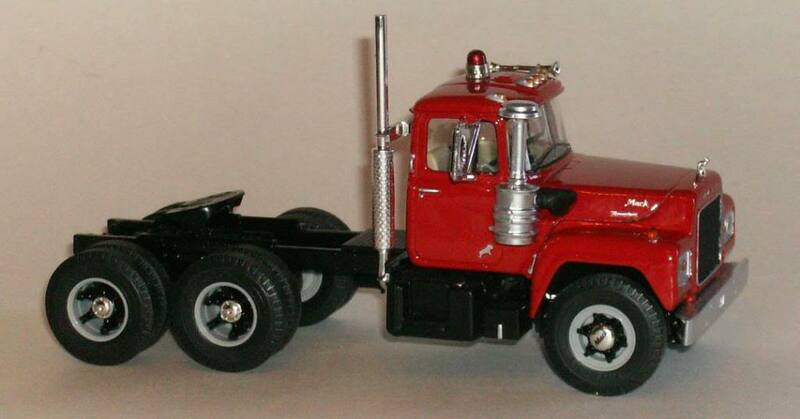 Normally I'd always prefer Mack power in a Mack over GM, but a 12V71 of that era is in a class by itself. Where were you in '52? In the womb until May, and then the rest is history. This video is a bit different; it's an 8v71 Detroit with a 13 speed. I just love the way this guy shifts, and it's because of his use of the throttle--easy on, easy off. He never mashes it. This of course is a lot different than your quad, but the throttle technique is the same. When you get more comfortable with your quad, try finessing the throttle the way this guy does and it'll make for smooth shifting. I remember that truck well. That guy had it for years, never said much on the CB, but he kept the truck sparkling. Then one day in this neck of the woods he had some sort of health event, the truck went off the road, and that was the end. Never knew his name.